This guest post was written by Nicole, author of My Years Without Sugar. Your health is your life. Make it a priority. There are a zillion nutrition tips floating around out there. Here are a few simple ones that have worked well for me over the years. Limit junk food or don’t eat it at all. – Whatever junk food you have in your kitchen, throw it out and replace it with healthy foods and snacks. Look into other ways to comfort yourself and think of food as nutrition, not entertainment or emotional fodder. Go on a healthy food shopping spree. – Don’t look at prices. Buy items that are healthy and appealing. Fill your cupboards, pantry and fridge with healthy foods so you will not feel like your kitchen is empty. Limit eating out. – Most restaurant food has high amounts of sodium, sugar and fat. There are few exceptions. Spend more time with family or friends cooking together, or enjoy cooking for yourself. Visit a farmer’s market. – Because farmers markets make buying healthy food fun and interesting. Most of the produce will be freshly picked, and taste heavenly compared to the refrigerated and thawed produce we get at grocery stores. Many farmer’s markets have healthy homemade jams, local honey, hot sauce, or pickled this and that. Cut out the white stuff. – Sugar has zero nutrition. Cut out high fructose corn syrup and artificial sweeteners, too. Sugar is linked to the growing obesity epidemic in the US and the rising rates of diabetes. It is also linked to heart disease, which remains the number one killer of people in the US. Use natural sweeteners in baking like raw honey, date sugar or molasses, which retains high amounts of nutrients. Exercise. – No level of nutrition can make up the difference for lack of exercise. Walking counts, as does taking the stairs instead of the elevator. Dr. Walter Willett of Harvard’s School of Public Health places exercise at the foundational base of his food pyramid. Cut out ‘beverages’ and drink water. – Water is free, whereas most beverages come with a price – a health price and a financial price. One popular 12-ounce soda boasts a whopping 150 calories, and it offers no nutrition. As a treat, drink tea instead of soda. Remember, it only takes 21 days of doing something to make it a habit. So pick one of the tips above and start making it a healthy habit today. Follow Nicole on her blog, My Years Without Sugar, where she shares tips on escaping the sugar addiction. Thank you Nicole for a reminder of these basic tips and tricks to healthy eating. It has definitely helped a lot. This is good stuff. I follow most of these. One thing I had in mind to start doing at times was buying certain items in bulk. I got a huge package of spinach, so that was a good start, because I usually get small sets of spinach each time. Interesting idea there about eating at a table instead of a desk. I had not really thought about that. For me, your best suggestion is to get rid of all junk food in your home. For some reason I seem to have more willpower at the store than I do at home – it’s easy for me to not buy something, but if it’s at my house I will eat it! Hi Nicole! These are all great tips! I became a vegetarian a little more than a year ago, and I’ve been paying attention to pretty much every thing you write here for about the same time. I’ve always been thin, but still I managed to lose about 3 lbs and I’ve had the same weight since then. And surprisingly, the phrase that I’ve been told the most this past year is: “How thin are you! Are you ok?” Somehow, we’ve managed to link weight with health. It’s always good to be reminded that we need to actively look after our nutrition. I love how you recommend that we limit our intake of certain foods and not seek to eliminate it althogether. Food is food, and should be enjoyed in moderation. I love eating and I exercise a lot so I am able to enjoy many of the good foods that exist. Good suggestions. In past I have gone sugarless for 2 years, it was hard in the beginning but I stopped craving sugar as time went on. Now, I have started eating sugar on limited quantity again but it is low key. Eating healthy and being healthy is important! I mentally agree with all your tips (I think most people would), but the motivation/willpower for change is the hardest part, at least for me. I’ve been reading Chip and Dan Heath’s new book Switch: How to Change When Change is Hard. It has really helped me see motivation in a totally different light (emotional and logical aspects), and I’m taking a step-wise approach to adding healthy habits into my life. 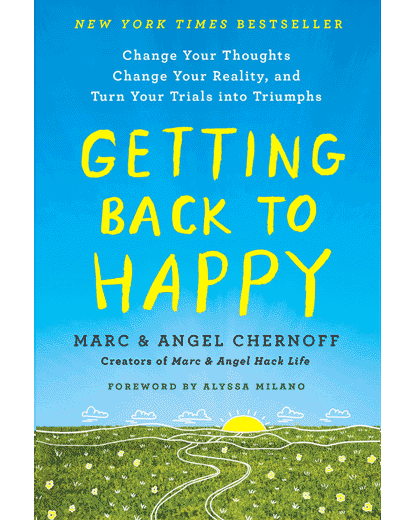 If you need help with making change in your life I highly recommend the book. Hi Nicole! Thanks for your very useful tips, recently i have started doing exercise, compared to the past, I really feel better in my activities. Health benefits are of course most important when it comes to eating well. That said, I really think that health, wealth, and relationships are all symbiotically linked. To that extent, particularly with wealth, it will be enhanced if you maintain excellent habits with nutrition. Spend more for fresh, quality produce – organic where necessary – and follow guidelines as noted above. Over the long run, you will save on healthcare expenses and live a richer life in many ways. Nutritious food is an investment in your health. Now this is what I would call a perfect health reform plan. An old favorite of mine is Have breakfast like a King, lunch like a prince and supper like a pauper. Thanks, everybody, for the feedback! It’s amazing how much I continue to be inspired by others, so thanks for the comments. It’s great to hear your thoughts! I started almost exclusively drinking water a few years ago. And I have been extremely happy with the results. Although I was at the time (and still am) quite fit, I lost about 5-10 pounds the first month I started mostly drinking water. I became even more toned. And I just feel so much more healthy. Therefore, I’m glad this made your list! This was great, very simple and practical, and yet, just what we need! I definitely needed to be reminded of the little steps I need to be taking daily toward better health. I also linked this post in my blog post today! visiting a farmers market is a great idea for fresh food that is produced locally. I’d also say try a raw diet, its natural and makes you feeling amazing and light all day. One more tip: If you DO have to eat in front of the TV or computer, put out “finger food” such as carrot sticks, apple slices, etc… . My aunt does that with her kids and it works great! You don’t even notice that you’re eating healthier. Your sweetener choices like honey, molasses, and date sugar are still all sugars!!!! My wife and I just tried a “cleanse” and it was 21 days long. As you state, just long enough to create new healthy habits. Now I’m actually craving lentil salad for lunch and fruit smoothies for dinner! You are absolutely right when we take our food in smaller plates we eat less and feel full, then why stuff ourselves with unnecessary food and gain weight. Thanks for posting. I like to hand out articles like yours to my clients. We promote both healthy eating and fitness.